Concrete is a composite material of cement, sand, coarse aggregate, water and chemical admixtures (if required). Making concrete is very easy, but proper mixing of concrete ingredients is the most important because it affects the quality of concrete. Concrete should be uniform in colour. Homogeneous mixing of all concrete materials like cement, fine aggregate, coarse aggregate and water. 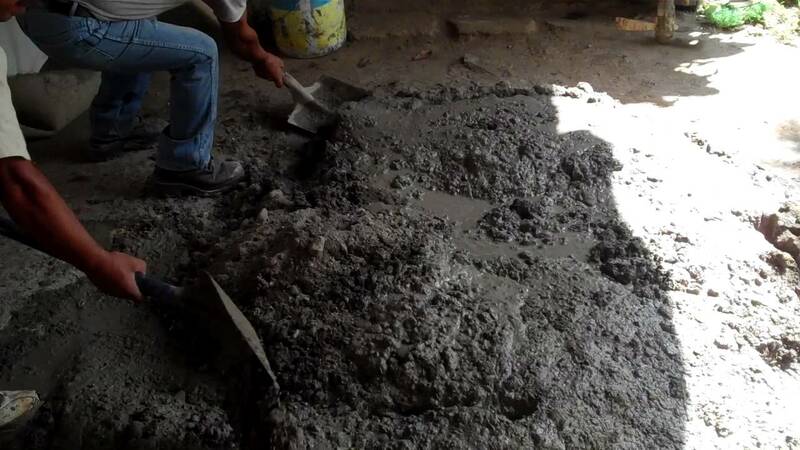 Cement paste should cover all the surface of the aggregate. Segregation should not occur after the mixing of concrete. Hand mixing is the process of mixing the various materials of concrete manually. 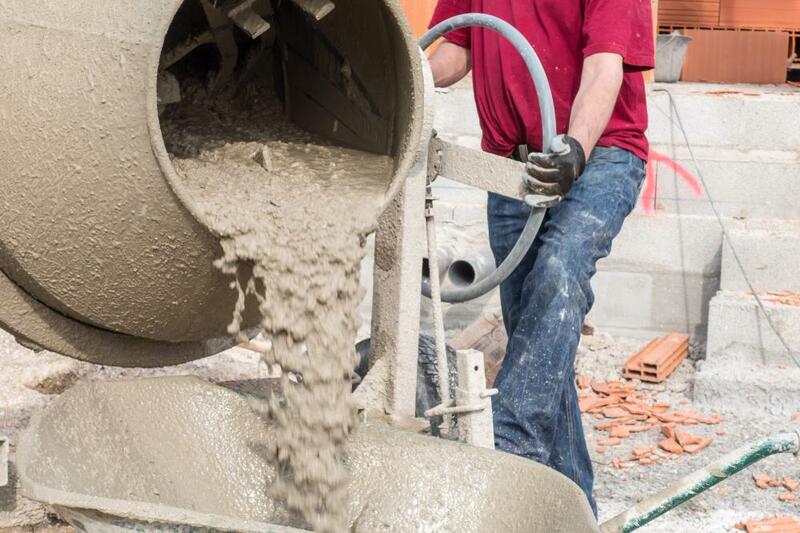 Mixing concrete without a mixer is used only for small works. Mixing of materials shall be done on masonry platform or flat iron sheet plates. Spread the measured quantity of sand on the platform, and then cement shall be dumped on the sand. The sand and cement shall be mixed thoroughly with the help of shovels in the dry state. The measured amount of coarse aggregate shall be spread out, and the mixture of sand cement spread on it and mixed properly. Depression is made at the centre of the mixed materials. Add 75% of the required quantity of water in the depression and mix with the help of shovels. Add the remaining amount of water and continue the mixing process till a uniform colour and consistency of concrete is obtained. Time of mixing concrete should not exceed 3 minutes. The mixing platform should be washed at the end of the day’s work. While hand mixing is a quite good process to ensure the quality of concrete, in larger projects where large masses of concrete are required, it is neither feasible nor advisable. Hand mixing also doesn’t ensure the consistent homogeneity of concrete. Also, the demands for short mixing time and consistency, homogeneous quality of concrete are increasing day by day, which cannot be satisfied by hand mixing. Machine mixing can satisfy all the demands mentioned above. Nowadays various types of concrete mixers are available which are either petrol/diesel or electrically powered. First of all, the concrete mixer should be wetted inside of the drum. After that Cement, sand and coarse aggregate shall be placed in the portable concrete mixer in required proportion. The dry materials shall be mixed in the mixing machine. After this, correct quantity of water shall be added gradually while the machine is in motion. You must mix concrete for minimum two minutes after all materials are in the drum. If there is segregation, after unloading from the mixer, the concrete shall be remixed. In India, traditionally concrete has been produced on site with the primitive mixer machine equipments and use of labour force. Ready Mixed Concrete (RMC) is the concrete which is produced in the factory or in a batching plant and delivered in a ready-to-use manner. The quality of the resulting concrete is better than the site-mixed concrete. Hand mixing is a cheaper method of mixing concrete but recommended only for very small works. Proper mixing of material is achieved in machine mixing only and hence used for big projects. Ready mix concrete requires less time as compared to site mixing (hand or machine mixing) and quality of concrete is also better than the site mixing.